At the request of the Marine Corps, Northrop Grumman successfully performed a fit check of a production APG-83 SABR on a F/A-18C Hornet at MCAS Miramar in California. 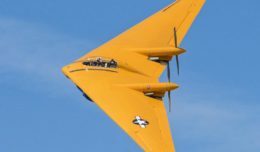 BALTIMORE – Aug. 13, 2018 – Northrop Grumman has successfully installed a production APG-83 Scalable Agile Beam Radar on a U.S. Marine Corps F/A-18C Hornet at Marine Corps Air Station Miramar, Calif. 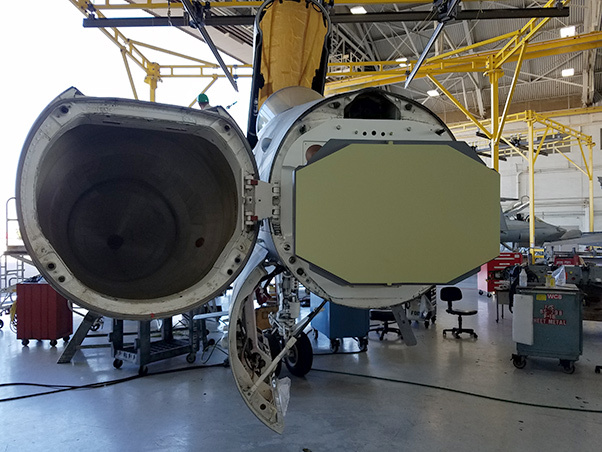 The fit check, performed August 2 at the request of the Marine Corps, demonstrated SABR is a low-risk option for installation on F/A-18C/D Hornets and that the radar can be integrated with the aircraft’s power, cooling and avionics systems. The APG-83 is a multifunction AESA fire control radar that delivers fifth-generation fighter capabilities to counter and defeat increasingly sophisticated threats. Northrop Grumman is competing to replace the mechanically-scanned radar on F/A-18C/Ds with an AESA radar. The Marine Corps plans to upgrade the radar on approximately 100 F/A-18C/Ds. The APG-83 will address survivability, reliability and maintainability concerns for the U.S. Marine Corps.